This project was funded by the Research Council of Norway and the industrial and research partners from january 2005 to december 2008. Nofima Mat (former Matforsk) and DTU - Informatics and Mathematical Modelling will continue research activities and software development despite ceased fundings. 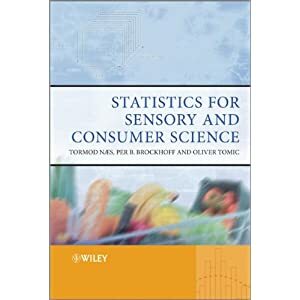 Our book on statistics for sensory and consumer science has has been published at Wiley (June 2010).